Parkinson’s disease is where parts of the brain become progressively damaged over a number of years. It affects 127,000 people in the UK, and rates of the condition are predicted to rise faster than in Alzheimer’s disease, according to research published last month. Common symptoms include involuntary shaking, slow movement, and stiff and inflexible muscles. However, a new study has suggested a bad night’s sleep could be an early sign of the disease. 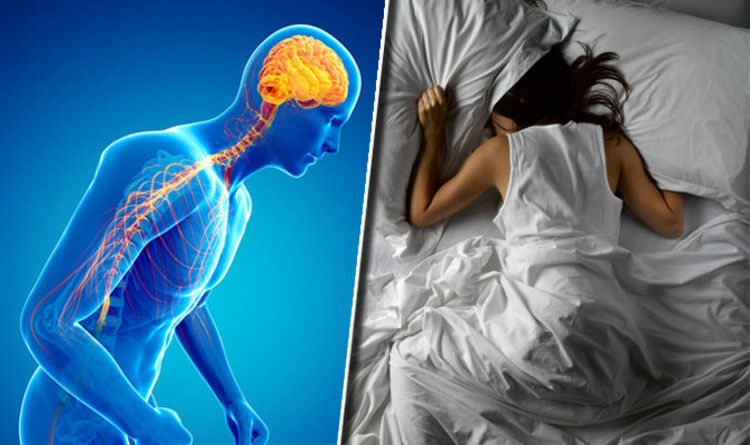 Researchers at Aarhus University in Denmark discovered that people who sleep restlessly could be on their way to a diagnosis. This is because they could have an RBD sleep behaviour disorder, where sufferers ‘live out’ their dreams causing them to hit out, kick and shout. The disorder often affects people between the ages of 50 and 70, and men are more frequently affected than women. It is caused by inflammation of the brain and a lack of dopamine, and both these factors place people at an increased risk of Parkinson’s disease as they age. Previous research has found Parkinson’s to be triggered by a group of nerve cells in the brain, that produce dopamine, failing to function. However, the discovery that there is inflammation in the brain in patients who are at risk of developing Parkinson's disease is new. “With this study, we have gained new knowledge about the disease processes in the brain in the early initial stages of the disease development,” said Morten Gersel Stokholm from Aarhus University. “The idea is for this knowledge to be used to determine which patients with the sleep disorder will later develop Parkinson's disease. Signs of Parkinson’s disease usually start to appear between the ages of 50 and 70 years, and symptoms become gradually worse over time. According to the NHS, it is thought one in 500 people are affected by the condition. Sufferers are also at risk of depression and anxiety, problems with memory, and loss of a sense of smell.